I've seen about 50 animals over the roar and only fired one shot and that was a poor 8 right at the beginning. My last big effort to get a stag started on Friday. 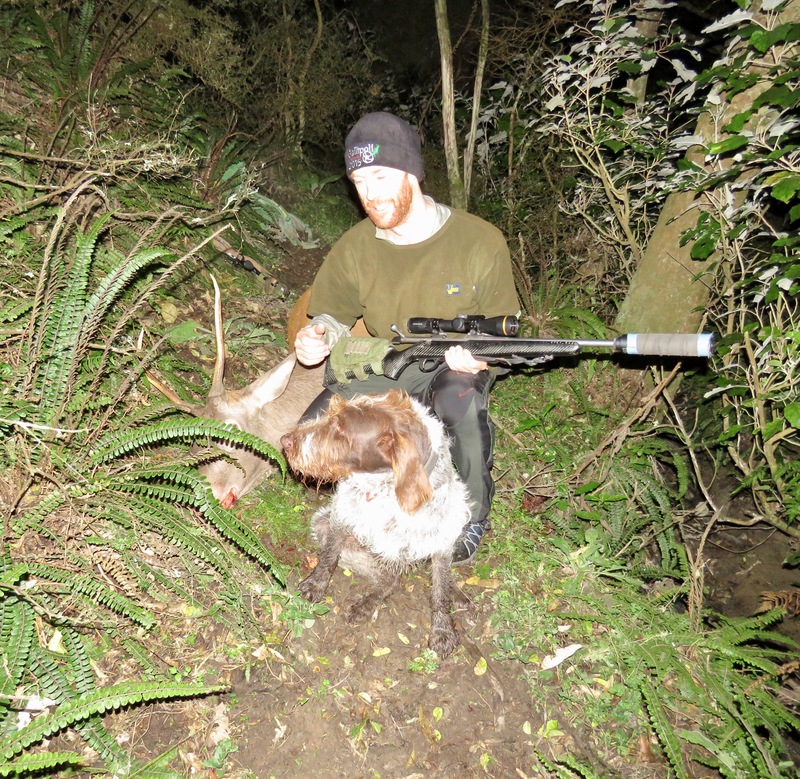 I hunted 2 spots in the Wairarapa,shifting after the first night. The best I saw was a couple of 8's. After 3 days of hunting hard and looking at various manky looking stags I decided that I wasn't going home without a bit of meat. 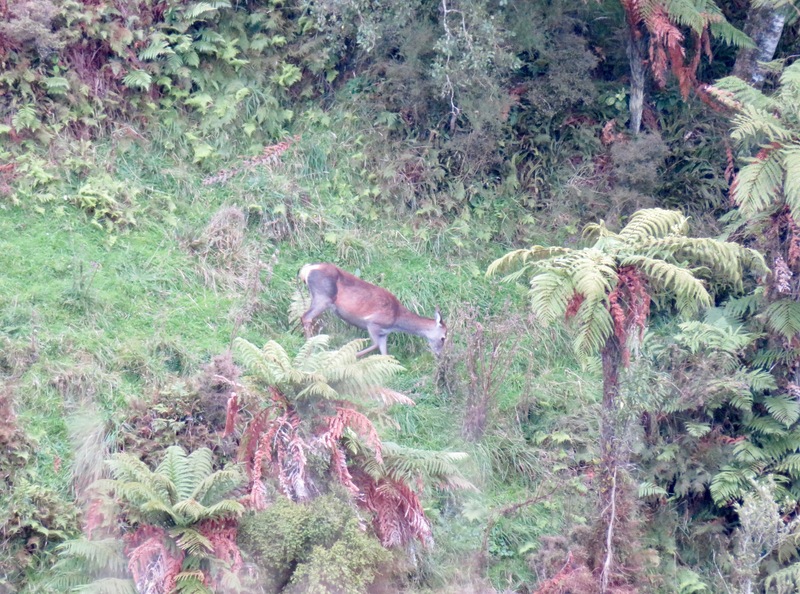 So right on dark last night I went back to where I had seen a hind, hoping a yearling was snooping around in the Pongas with her. No such luck. So the poor old girl copped it. She was 350 yards away and the light was nearly gone. At the shot from the 300saum she dropped and rolled down through the Pongas and tried to get up so I had to shoot her again - in the neck this time, and then she disappeared. Not one of my most glorious moments. It was dark by the time I got around to where I had last seen her and she wasn't there so I set Tilly off and she soon found her where she had bowled down the hill 100 yards and come to rest on a grassy clearing. My first shot had not been perfect (I will blame the half light and my old eyes). It was the 99th deer that I had shot with Tilly. Well, she turned out to be the oldest hind I've seen for a while with very worn teeth. She was big too. So much for getting a nice bit of meat. I boned her out and carted her back to the vehicle. As I walked out in the dark the stags were still going to town. This cold snap seems to have revved them up again. A damned lot of effort for sausages and patties. A pic of her a couple hours previous to when I shot her. Shootm, Dundee, gadgetman and 18 others like this. Ah there you go, told you 30 cals are no good! If it had been a 7mm she would have thought she had been stung by a wasp and carried on feeding. veitnamcam, wsm junkie, Dundee and 5 others like this. 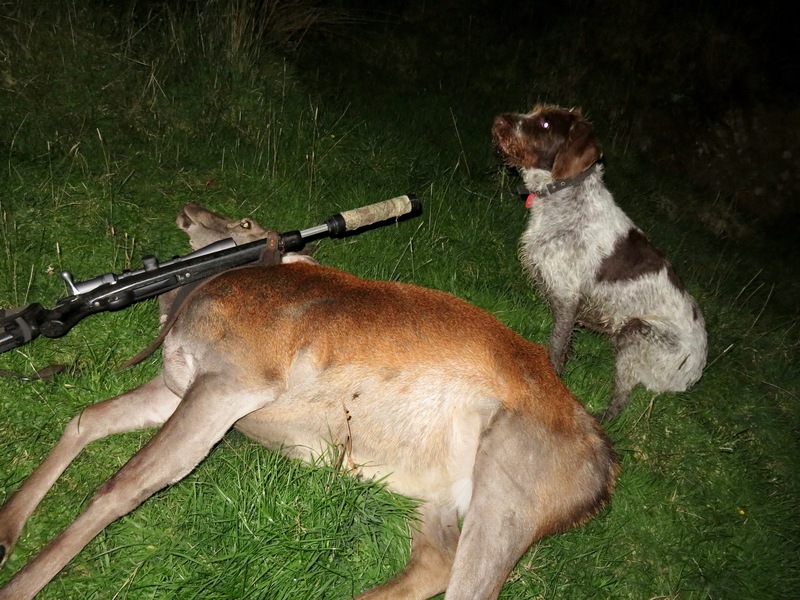 The next deer with Tilly had better be something special i reckon, the big Century, thats awesome mate. Tahr, Scouser and Gibo like this. Well done, an old hind still cooks up good in the crockpot. Don't feel to bad its a law of averages with bad shots and missis that's what magazines are for a backup. For me if it looks like i stuffed up a shot or not the placement i give them another. Tilly will be on auto pilot getting onto deer now having that many deer. All the best on the next 100 deer. 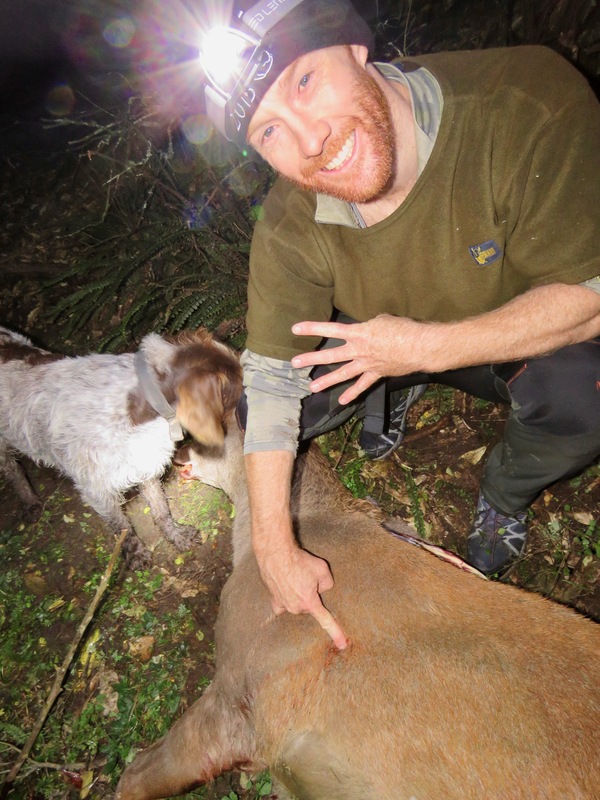 Good on ya Tahr iv been eyeing up a few meat animals as well all this looking & not much shooting sure takes its toll , a hind copt it on Saturday they are in mint condition at the mo & wifey reckons the steaks are getting low . Yep we have been looking for a better stag over the last several weeks but if a nice eater turns up it had better look out. Boaraxa and BeeMan like this. I took a young chap out for a hunt tonight. Here he is revelling in shooting a spiker with my 7-08 at 400 yards. A nice happy pic. It was his third deer. The previous 2 were with me. I think he's hooked. gadgetman, Dreamer, Boaraxa and 4 others like this. Great stuff Bruce, shooting the Nosler BT 120,s? What lupy is that, vx6? nor-west and Huk like this. Nice scope. I want a locking turret or zero lock for or it - could you send me one over? You sure? He is holding up 4 fingers. Miss 1 in the dark?